Hello to everyone at St Edmund’s Primary school Godalming and many thanks for welcoming our CAFOD school volunteer Chris Richardson to your school. 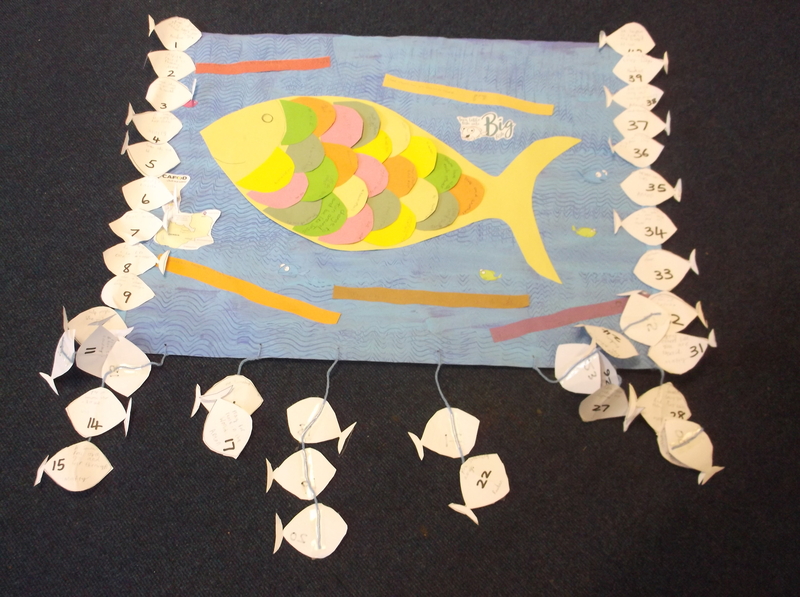 We hope you enjoyed our Lent fast day assembly about how one little fish made such a difference to the life of Florence from Zambia, and we love the fish display made by Year 4. Florence wanted to do something which would allow her to earn money to support herself and her two children. 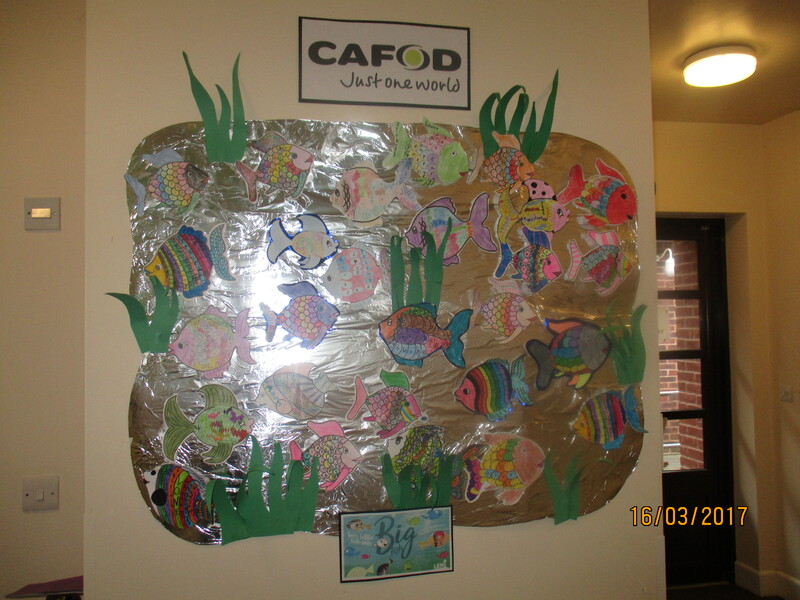 So with the help of CAFOD’s partner she built a pond and filled it with small fish. When the fish had grown to full size she used nets to catch the fish and then sold them at the market. But the story doesn’t end there. 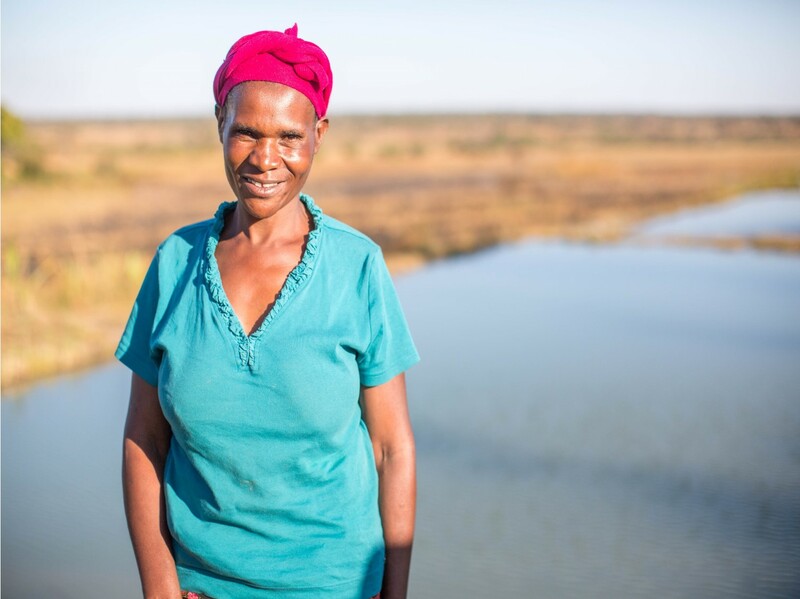 Lots of great things happened because Florence shared her skills with her neighbours and now the money they get from selling the fish means that they can pay for their children to have an education and they have been able to set up a savings club to help anyone in need. Also when the ponds are drained, the mud which is full of good stuff from the fish droppings can be spread on the fields to help the crops grow. So this is how a small fish can help make a big difference to a family and their community in Zambia. This entry was posted in Fundraising, Schools and youth and tagged CAFOD Arundel & Brighton, fundraising, Lent Fast Day, St Edmund's Godalming by cafodarundelbrighton. Bookmark the permalink.